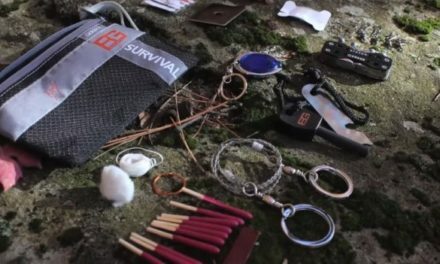 14 September 2018 Update: While you won’t have a chance at getting your hands on the old model Bear Grylls tent (unless you happen to find a used one on ebay or other second-hand site), it’s been confirmed that Bear and his team will be releasing a whole new line of outdoor products, including tents, coming in Spring 2019! Stay tuned and we will update this page as soon as we get our hands on one. I get asked fairly often about Bear Grylls Tents. Or really, the lack thereof. It’s not just his tents either! Last year, Bear released a new product range full of backpacks, tents, sleeping bags and other various camping gear and kit. It appears they released a limited quantity and have let the product line sell out for the most part. You can still manage to find some of these products online, but they have all mostly vanished. Walmart was the first to carry this line of products, but I had no luck at all trying to find out if and when more of this line would be released. I’m fairly certain a local store manager would not know. I’m sure Nici didn’t know either, but was hoping for a bit more help than that. I’m not sure who the actual manufacturer is, but I would definitely love to find out when and if more of this line of products will be released. Mostly because there were still items from this line that I was wanting to get! I managed to get a few products from this line and they are all really great quality. Just as you’d expect from a Bear Grylls product. The tents in particular, though, are the products that I’m especially sorry to see disappear. These tents looked amazing! And I was quite looking forward to getting one or two to test them out. My favorite product from this line was definitely the 28L Backpack Pack. It has become my every day pack. I love the design and functionality. I am hoping to get high bigger packs as well. They are currently still available. Hopefully they won’t sell out soon. If you purchased one of the Bear Grylls tents, do let me know! I’d love to hear more about them! Make sure you sign up for the Newsletter! I will definitely let you know when more of these products arrive! NextBarack Obama to appear on Running Wild with Bear Grylls Season 2!